Calendar: «Guam History and Chamorro Heritage Day». «When you hurt somebody» illustrated quotation. 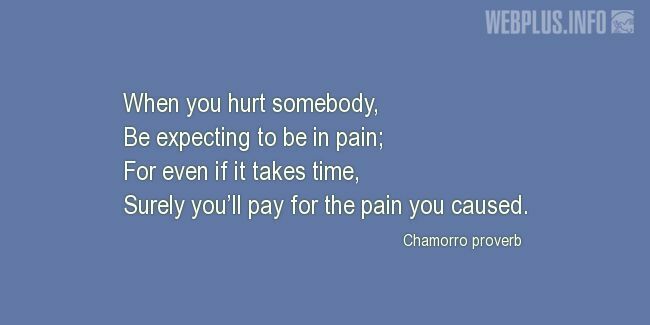 Chamorro proverbs, free quote pictures for Facebook, Twitter, LinkedIn, Reddit, Pinterest and other social networks. Surely you’ll pay for the pain you caused.